Computers and Mathematics have a different notation when it comes to co-ordinate systems. In Mathematics, y value of a point increases if the point moves up. But, in pixel system (2D computer graphics), y increases as we go down. You can drag the sliders in the below displayed flash controls and see how the (x, y) values change in the normal (mathematics) co-ordinate system and computer's pixels window co-ordinate system. For a single unique mathematical graph (in normal system), there could be multiple converted graphs depending on the viewport dimensions. For example, consider a rectangle ABCD in the normal system. If the same rectangle has to be drawn in a viewport with the dimensions (640, 480), the point A becomes(160, 120). 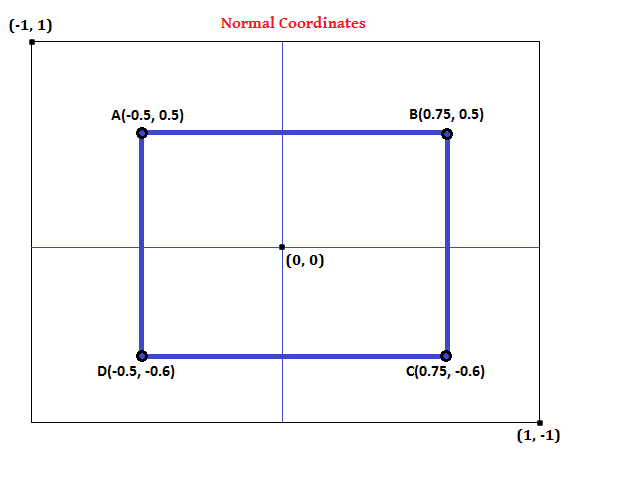 (1) Consider the rectangle ABCD in the normal system. Use the above formulae and verify if the points A and B of the window system's rectangle ABCD are properly converted or not. 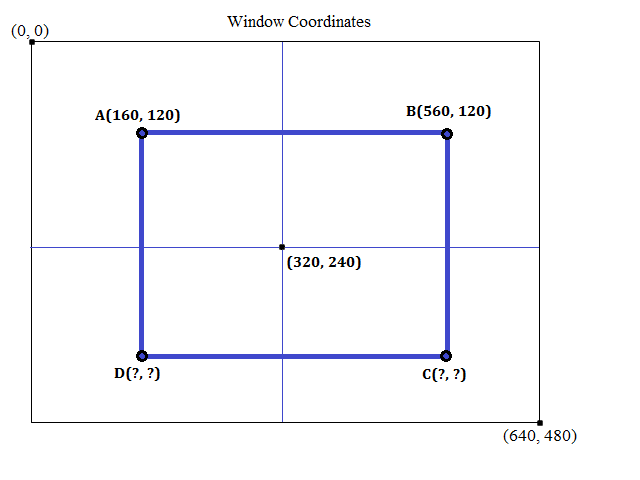 (2) Calculate the points C and D in the window system.